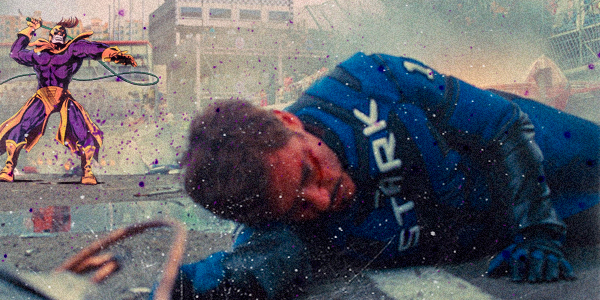 Super hero movies are more famous now than ever. Billions of Dollars are spent to make these movies with amazing graphics. Moreover, these movies bring to life the larger than life heroes we all grew up reading about in comics. The comic books, actually, are the reason we even have super hero movies today. 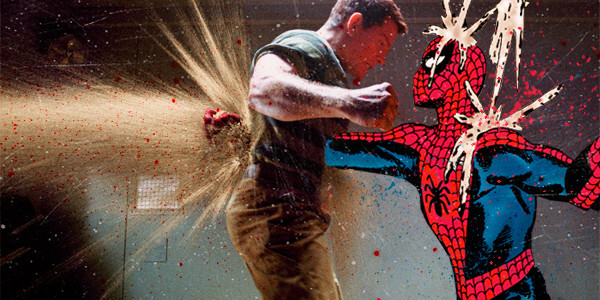 These illustrated comic books gave us super heroes like Spider Man, Iron Man, The Wolverine and The Hulk. The illustrated sketches of these icons in comic books had a much more magnified impact on us when transformed into silver screen movies. Artist Billy the Butcher came up with a very interesting concept. 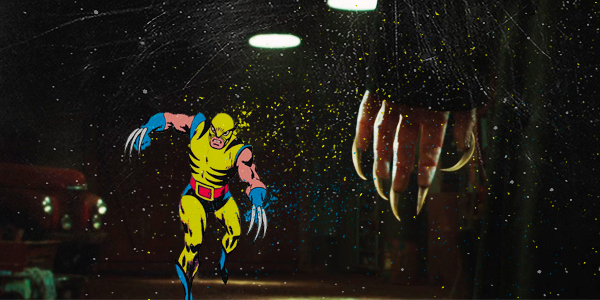 Using screen shots from some of Marvel’s super hero movies, he used designing softwares to replace the characters with the comic book drawn ones. The result is as exciting and interesting as the idea. The Avengers did excellent at the box office. Billy the Butcher replaced Chris Hemsworth’s “Thor” with the illustrated one from one of the Thor comics. 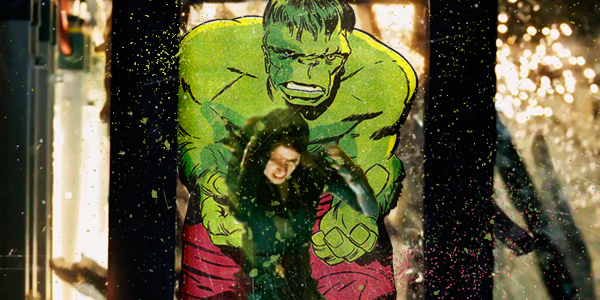 In another screen shot from “The Avengers”, Mark Ruffalo’s Hulk was replaced with the illustrated Hulk, chasing after The Black Widow (Scarlett Johansson). Who can forget the confrontation between Tony Stark (Robert Downey Jr.) and Ivan Vanko (Mickey Rourke) on the race track from Iron Man 2? The same scene shot was shown with Vanko replaced with the comic visual of the character. Spider Man 1 was an epic success, catapulting the careers of Tobey Maguire and Kirsten Dunst sky high. 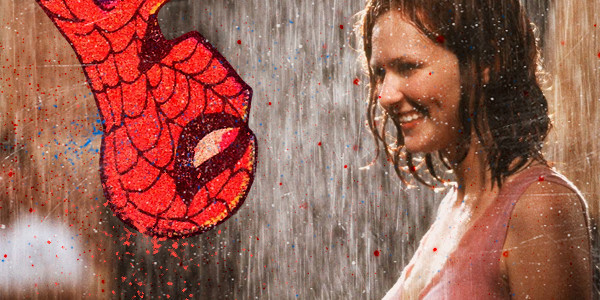 A famous scene from the movie is the one where M.J (Dunst) meets Spider Man in a dark alley, with rain pouring down. Spider Man is hanging from a web upside down while M.J is smiling at him. This screen shot was redone, by replacing the movie Spider Man with the comic one. Although years apart from the movies; the comic books have established a relation with them. By combining the two, Billy the Butcher brings the past and present tomorrow, offering us a peek into the time, we used to spend hours with our comic books and dreaming to be super heroes.